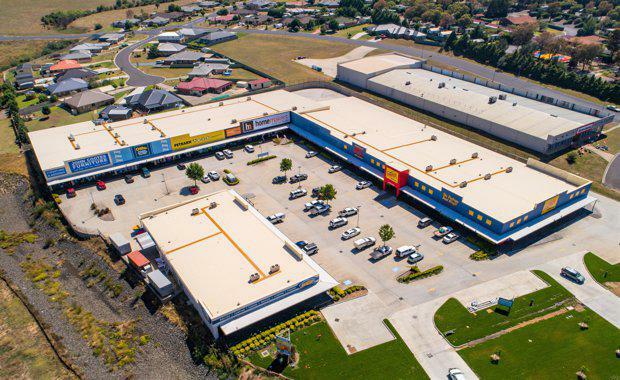 Continued growth in Australia’s large format retail sector has underpinned the sale of the Bathurst Supa Centre in New South Wales for $14.67 million. Located at 230 – 240 Sydney Road in Kelso, the Bathurst Supa Centre is one of the main large format retail complexes in New South Wales’ Central Tablelands region. With 100% occupancy, the 7,487 square metre centre is anchored by a range of major national tenants, including Fantastic Furniture, Petbarn, Homemakers Furniture and BCF. The complex, underpinned by a 1.801 hectare landholding, features a 170 vehicle car park and rear loading capabilities. CBRE’s Justin Dowers and Nick Willis negotiated the transaction on behalf of vendor Crowe Horwath, with it reflecting a record result for a regional large format asset. “As Australia’s large format sector continues to mature and evolve, we are experiencing strong investment demand for large format retail centres, from private through to institutional investors,” Mr Willis said. Mr Dowers said the sale, which transacted at a yield of 7.43%, highlighted ongoing confidence in the sector. “We are continuing to identify the strong pool of demand that exists from both local and offshore investors. Properties and Pathways Managing Director Cal Doggett said he acquired the asset after identifying significant value-add potential that could be unlocked in the short to medium term. “The acquisition also presented an attractive annuity to our loyal investors with a solid 9% p.a. whilst we work behind the scenes in creating further capital appreciation. Bathurst is supported by strong manufacturing, agricultural and education industries.